In the Baie de Somme and a short drive from Le Crotoy and Saint Valery sur Somme. 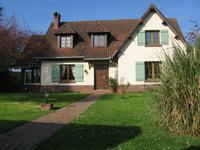 In a . . .
Beautiful 4 bedroom familiy home set in 4 acres of established gardens and pasture within easy reach of the beaches of the Baie de Somme. Property on 4 acres, in village with all amenities, ideally located: 20 km from Tréport, 16 . . .
One hour only from Calais, 15 minutes from the coast, 20 minutes from the market town of . . . This superb ‘long house’ is not only lovingly looked after, it also offers millions of . . . Superb business and lifestyle opportunity with 4 bedroom home and 3 bedroom bar & restaurant in the town centre with seaviews. Just off the Baie de Somme and close to St Valery is the major resort town of Cayeux sur Mer. . . .
Saint-Valery-sur-Somme, in the heart of the attractive Somme, beautiful 3 bed house and its 4/5 persons’ gîte. Saint-Valery is a very pretty port town in the magnificent Baie de Somme. Very much sought . . .
Less than two hours from Paris and an hour from Lille, Doullens is a major northern . . .
Quend Plage is a popular resort town on the Cote d'Opale south of Le Touquet and Berck sur . . . The property is located in the very centre of Albert, in the Somme. The town is close to . . . The historic town of Abbeville is the gateway to the UNESCO World Heritage site of the Baie . 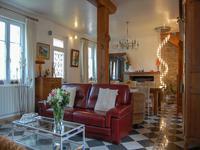 . .
Set in a village next to the town of Montdidier, this property features a number of . . . The pretty farming village of Maison Ponthieu lies in the heart of the triangle formed by the . . . Elegant family home, entirely renovated throughout. Convenient for transport links. The property is located in the village of Cartigny, between Amiens and St Quentin, on the . . . This property comprises of an entrance hall, lounge, large dining room, 2 fully fitted . . . The village of Candas in the Somme lies between the historic battlefields to the south along . . .